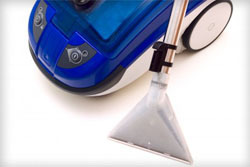 For many of us, when we think of carpet cleaning we picture a simple vacuuming job that makes our carpet clean. But if you want to really eliminate the deep-down dirt, mildew and dust mites, you need to call ACE for carpet cleaning services in Morris County, NJ. Professional carpet cleaning will clean your carpets, extending the life expectancy of your carpet and doing wonders for the health of your family, pets and co-workers. Selecting a carpet cleaning service can be hectic, especially in emergencies when time is of the essence. You want to be sure that the company you select is going to be professional. At ACE New Jersey Carpet Cleaners you are guaranteed that our technicians don't just clean your carpet, but they take total care your carpet too. After our technicians complete their carpet cleaning services in Morris County, NJ, they clean up after themselves as well, replacing furniture and leaving your home in pristine condition. At ACE Carpet Cleaners we acknowledge that each customer is an individual, and every job is different, so we customize each job to suit your specific Morris County NJ carpet cleaning needs. ACE Carpet Cleaners' technicians use only organic non-toxic cleaning products so that your home environment will be free of harmful chemicals, safe-guarding those you love. Over the past decade, Ace New Jersey Carpet Cleaners technicians have developed a low moisture technology system which allows for fast drying times, so you won't have to wait hours before walking through your home. When you choose us for carpet cleaning services in Morris County, NJ, you can reap the benefits of clean, safe carpets sooner. Is your carpet in need of a good cleaning? Do you want to learn more about our services? Contact ACE Carpet Cleaning today for a free estimate and more information on carpet cleaning services in Morris County, NJ at 973-328-3438.